You will find below the horoscope of Jenna Marbles with her interactive chart, an excerpt of her astrological portrait and her planetary dominants. Horoscopes having the same aspect Moon sextile Ascendant (orb 0°04'): Jennifer Aniston, Cameron Diaz, 14th Dalai Lama, Coluche, Emmanuelle Béart, Julien Courbet, Johnny Hallyday, Kourtney Kardashian, Angela Merkel, Jennifer Love Hewitt, Conor McGregor, Javier Bardem... Find all the celebrities having this aspect. Horoscopes having the same aspect Sun square Ascendant (orb 1°11'): José Bové, Al Pacino, Chris Brown, Paul McCartney, Halle Berry, Jack Nicholson, Nostradamus, Miranda Kerr, Denzel Washington, Jiddu Krishnamurti, Clara Morgane, Cary Grant... Find all the celebrities having this aspect. Celebrities born the same day: Prince Harry, Duke of Sussex, Tom Hardy, Agatha Christie, Letizia of Spain, Tommy Lee Jones, Irène Andrieu, Oliver Stone, Carlo Rambaldi, Jean Renoir, Heidi Montag, Caterina Murino, Sophie Dahl... List of all the celebrities born on September 15. Celebrities clicked on in real-time: 576,871,285 times. Jenna N. Mourey (born September 15, 1986 (birth time source: the podcast https://www.youtube.com/watch?v=NR9v3PBJw8g&feature=youtu.be&t=2m49s at 2'49")), more commonly known by her pseudonym Jenna Marbles, is an American entertainer and YouTube personality. Jenna Mourey was born and raised in Rochester, New York, where she graduated from Brighton High School in 2004. She attended Suffolk University, where she obtained her Bachelor of Science in Psychology, and later attended Boston University for her Masters of Education in Sport Psychology and Counseling. Mourey's video "How To Trick People Into Thinking You're Good Looking" had over 5.3 million views in its first week. Her video "How To Avoid Talking To People You Don't Want To Talk To" was featured in an August article in the New York Times and ABC News, in which she was quoted as saying, "I'm sick and tired of guys thinking that just because I showed up at a club or a dance or a bar, that I want to have their genitalia touching my backside. Here are some character traits from Jenna Marbles's birth chart. This description is far from being comprehensive but it can shed light on his/her personality, which is still interesting for professional astrologers or astrology lovers. 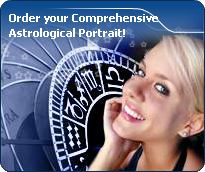 In a matter of minutes, you can get at your email address your astrological portrait (approximately 32 pages), a much more comprehensive report than this portrait of Jenna Marbles. Jenna Marbles, the nocturnal North-eastern quadrant, consisting of the 1st, 2nd and 3rd houses, prevails in your chart: this sector favours self-assertion and material security to the detriment of your perception of others. You consider self-transformation to be a hazardous adventure. You are inclined to seek stability and you tend to protect yourself with your actions. Possession, acquisition but also communication, without opening up too much, are part of your deep motivations. You are rather autonomous and constant, however it is important that you pay more attention to others, so that you can improve your outcomes. Jenna Marbles, Fire is dominant in your natal chart and endows you with intuition, energy, courage, self-confidence, and enthusiasm! You are inclined to be passionate, you assert your willpower, you move forward, and come hell or high water, you achieve your dreams and your goals. The relative weakness of this element is the difficulty to step back or a kind of boldness that may prompt you to do foolish things. Like the majority of Earth signs, Jenna Marbles, you are efficient, concrete and not too emotional. What matters to you is what you see: you judge the tree by its fruits. Your ideas keep changing, words disappear, but actions and their consequences are visible and remain. Express your sensitivity, even if it means revealing your vulnerability. Emotions, energy and communication must not be neglected; concrete action is meaningless if it is not justified by your heart, your intellect or your enthusiasm. The Mutable mode is the most emphasized one in your natal chart, Jenna Marbles, which indicates a mobile character that is curious and thirsty for new experiences and evolution. You are lively and flexible, and you like to react quickly to solicitations, but don't confuse mobility with agitation, since this is the danger with this configuration - and with you, stagnation is out of the question. Security doesn't matter as long as you are not bored. You optimize, you change things, you change yourself... all this in a speedy way. Cadent houses, namely the 3rd, 6th, 9th and 12th houses, are very emphasized in your chart, Jenna Marbles. They indicate important potential for communication, adaptability and flexibility. These houses are symbolically linked to the mind and intellect. The relative weakness implied by these characteristics indicates your tendency to hesitate or to be indecisive, but also your remarkable ability to start off again, which is a nice quality, finally: you can easily get yourself out of a tight spot thanks to your mobility and casualness, in the best sense of the term. This group of houses corresponds to evolutionary characteristics of your personality. However, they are only indications and you must include them in the rest of your chart in order to see whether they are validated or not! In your natal chart, the three most important signs - according to criteria mentioned above - are in decreasing order of strength Sagittarius, Libra and Capricorn. In general, these signs are important because your Ascendant or your Sun is located there. But this is not always the case: there may be a cluster of planets, or a planet may be near an angle other than the Midheaven or Ascendant. It may also be because two or three planets are considered to be very active because they form numerous aspects from these signs. The 9th, 12th and 1st houses are the most prominent ones in your birth chart. From the analysis of the most tenanted houses, the astrologer identifies your most significant fields or spheres of activity. They deal with what you are experiencing - or what you will be brought to experience one day - or they deal with your inner motivations. After this paragraph about dominant planets, of Jenna Marbles, here are the character traits that you must read more carefully than the previous texts since they are very specific: the texts about dominant planets only give background information about the personality and remain quite general: they emphasize or, on the contrary, mitigate different particularities or facets of a personality. A human being is a complex whole and only bodies of texts can attempt to successfully figure out all the finer points. You cannot dissociate love from passion, Jenna Marbles. Your feelings are immediate, imperious, intense, and it is absolutely impossible for you to think of an amorous relationship without fusion, without the irresistible desire to know everything about your partner: emotions, feelings, sexuality, everything must be experienced in a possessive, absolute and unrestricted way. Actually, your feelings are as complex as they are deep. You seldom love, but when you do, a burning ardour and its torrid, violent frolics consume your couple. It is obvious that such powerful feelings may lead to jealousy and absolute exclusivity, almost bordering on the will to control your partner. If your relationship is genuine, all is fine. But if it is not the case, there are real dangers of shared wounds within your couple; it is hard to reconcile passion with tranquillity and it is clear that for you, sentimental serenity involves a partner who is either as complex as you and who instinctively understands you, or who is complementary, and as calm and steady as your impulses are intense and deep. The ruler of the Ascendant, Jenna Marbles, is Jupiter. It is posited in the sign of Pisces and endows you with a vivid imagination. You are a sensitive and emphatic dreamer, always on the lookout for the inspiration which enables you to take action, although there is a risk that you keep on waiting - not without displeasure - for the said inspiration. With your amazing intuition, you sense the truth even before you understand it, and more often than not, your personality is endearing and appreciated by everybody. Jenna Marbles, you are so resistant and so solid that you are able to cope with any challenge, any ordeal. You behave with persistence, rigour and discipline. You are so obstinate and patient that no effort is impossible to you, as if sensitivity and emotions were unable to divert you from your goals. With calm and lucidity, even coldness, you face up to things and you plan on a long-term basis. Nothing and no one can prevent you from fulfilling your responsibilities. You are a rock, a hard worker, and your iron will equals your resistance to blows. Your practical sense is at the service of your ambition which is real and energetic, even though it may not be obvious. Sexually, you are active and vigorous. If you show more warmth, you may become an excellent lover; indeed, being demonstrative is not your major concern. This text is only an excerpt from of Jenna Marbles's portrait. We hope that it will arouse your curiosity, and that it will prompt you to deepen your knowledge of astrology, as well as to visit and use the wide range of free applications at www.astrotheme.com.